A long, long time ago, the first rugs for the imperial court were made in China. That was about 2,000 years ago. The antique rugs are determined by patterns of porcelain painting or silk weaving. Taoist and Buddhist influences can also be seen, for example when dragons look terrifyingly off the rug. Nowadays, carpets are produced in modern knotting, which are also oriented to Persian models. Made of industrially produced wool and treated with chrome colours, Chinese rugs are quite durable models. 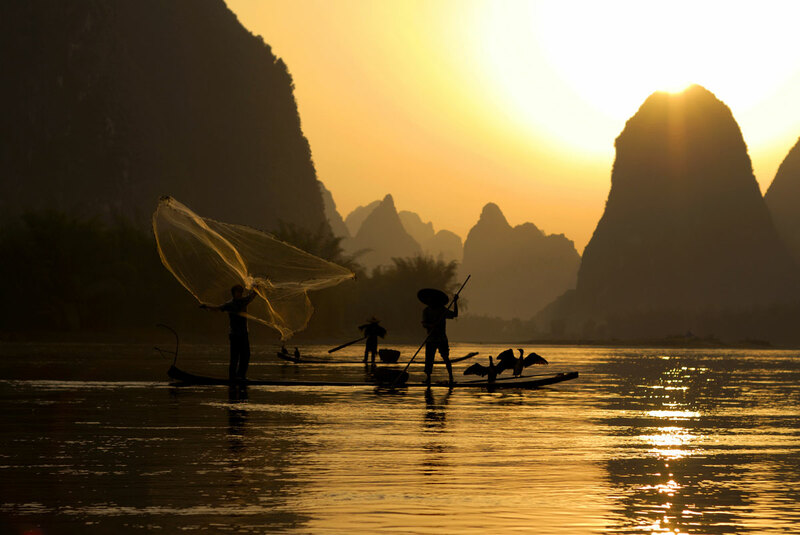 Production is mainly to be found in the major cities of Beijing and Tianjin. Other regions have smaller production facilities. Known rug names from China are: Ningxia or Beijing. In the past, rug weaving was determined by natural materials. Coarse wool yarn, cotton warp threads and thick knots produced rugs with a high, soft pile. At that time, the well-known carpet centres were located inland. The regions of Ningxia, Gansu and Inner Mongolia were leading locations for Chinese rug production until industrial production took the dominant position. 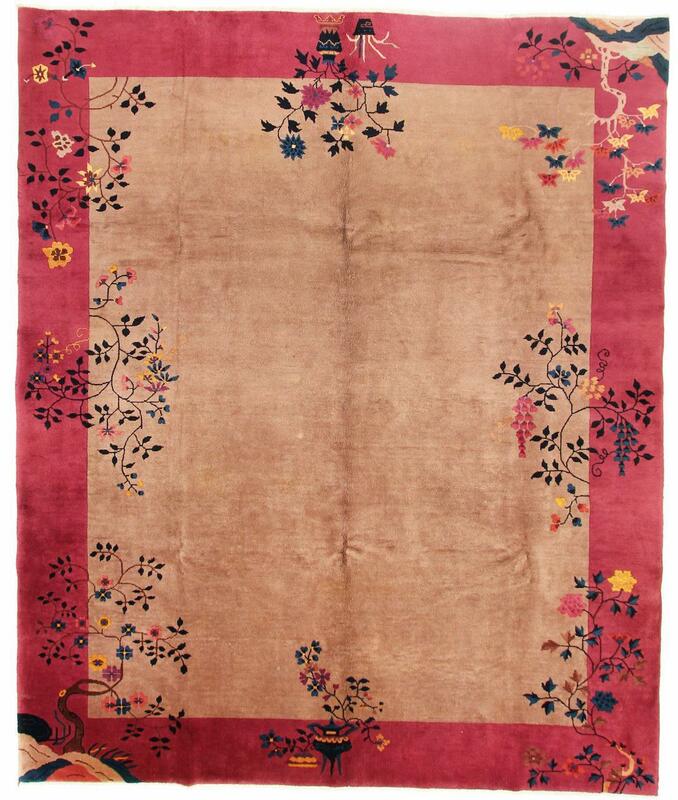 These rugs have been provided from an assortment of over 190 Chinese rugs by Nain Trading from Hamburg. Hamburg, Germany is still the most important hub for the trade of oriental rugs in the Western World with Nain Trading offering one of the largest assortments of handmade oriental carpets worldwide. Location - where do Chinese rugs come from? 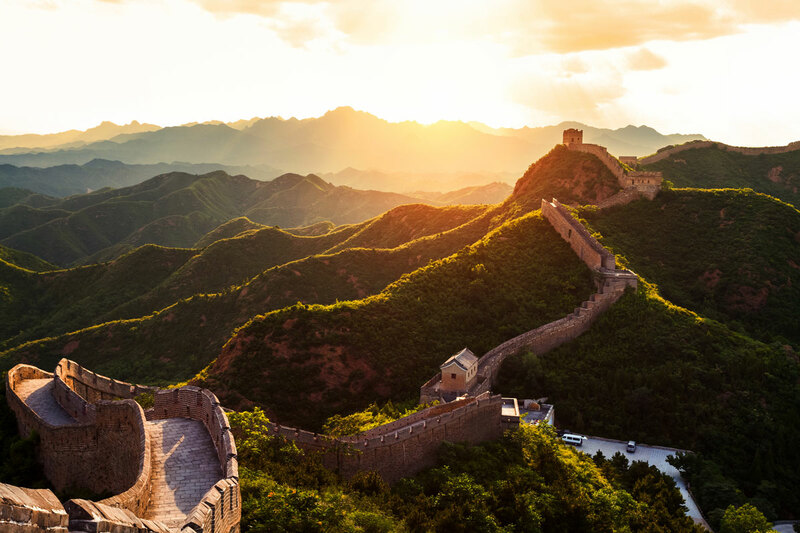 Today, most rugs come from big cities such as Beijing and Tianjin. 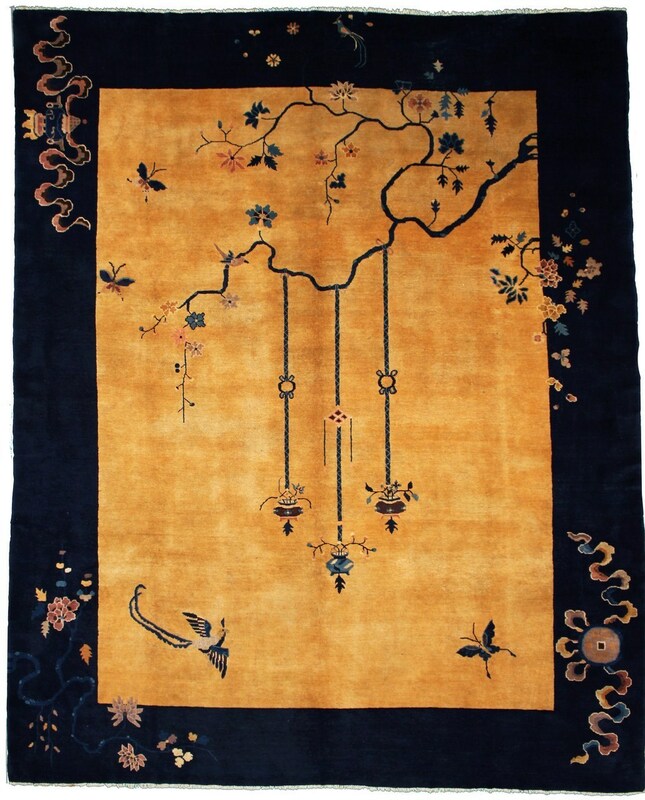 Older carpets come from more rural provinces like Kansu or Suiyang.